Fierce, loyal and true to the core, this little superhero guards his home from all the evils of the world...especially those wicked vacuum cleaners. Whenever one approaches, he is quick to show that its evil ways will not be tolerated and peace and quiet will be restored in the household no matter what. 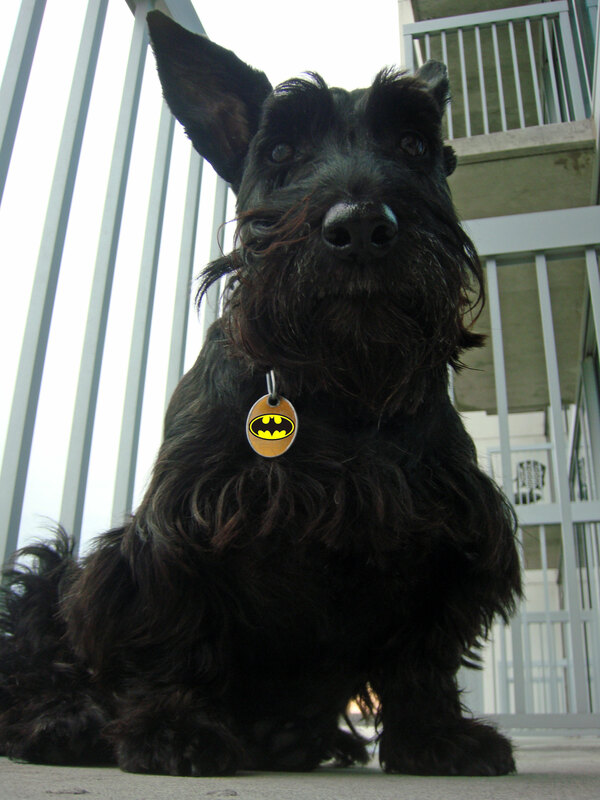 Careful not to use any lethal weapons on his opponent (namely, teeth), the dark Scottie warns the evil vacuum to back off with a growl or two...or else! Occasionally, our little superhero takes to a dark corner for a minute and launches a surprise attack on the evil vacuum in an attempt to put it in its place. My girl made a 'rooo' at her opponent!! They are do sweet! We are rooting for YOU Dark Scottie!! 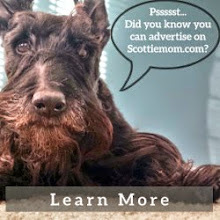 Dark Scottie, Duncan has your back! We have a matching kid ... Bonnie Annie Laurie, Super Dog! More powerful than a locomotive, able to leap tall sofas at a single bound ... well ... She can and if she misses and lands on me, hey, that's what I'm here for. 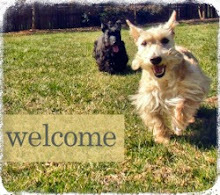 Because Scotties rule! Just ask one.